Marcus Aurelius (Marcus Aurelius Antoninus Augustus) was a respected Roman Emperor (161–180 CE), a philosopher-king who was the last of Rome's so-called Five Good Emperors. His death in 180 was regarded as the end of the Pax Romana and the beginning of instability that led over time to the fall of the Western Roman Empire. 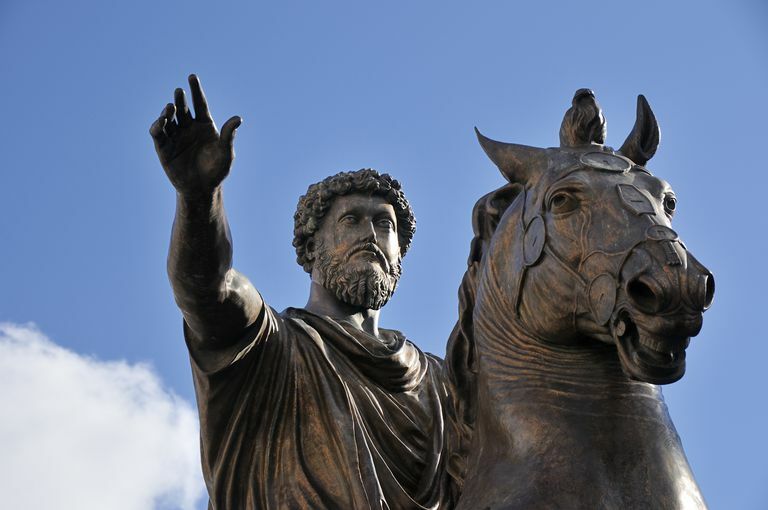 The reign of Marcus Aurelius is said to have symbolized the Golden Age of the Roman Empire. He engaged in a number of wars and military operations aimed at quelling restive neighbors and in a costly and obsessive campaign to extend Rome's northern borders. He was not best known for his military acumen, though, but for his thoughtful nature and a rule governed by reason. During his years of military campaigns, he recorded his day-to-day, discursive, fragmentary political thoughts in Greek in untitled writings that came to be known as his 12-volume "Meditations." Many revere this work as one of the world's greatest works of philosophy and a significant contribution to the modern understanding of ancient Stoicism. He practiced Stoicism and his writings reflect this philosophy of service and duty, finding balance, and reaching a state of stability and composure in the face of conflict by following nature as inspiration. 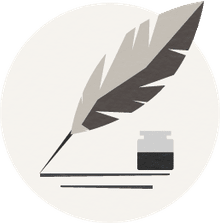 But it seems his fragmentary, discursive, epigrammatic thoughts, though revered, were not original, but a reflection of the moral tenets of Stoicism, which the slave and philosopher Epictetus had taught him. "A noble man compares and estimates himself by an idea that is higher than himself; and a mean man, by one lower than himself. The one produces aspiration; the other ambition, which is the way in which a vulgar man aspires." "Because your own strength is unequal to the task, do not assume that it is beyond the powers of man; but if anything is within the powers and province of man, believe that it is within your own compass also." "Begin. To begin is half the work, let half still remain; again begin this, and thou wilt have finished." "Constantly regard the universe as one living being, having one substance and one soul; and observe how all things have reference to one perception, the perception of this one living being; and how all things act with one movement and how all things are the cooperating causes of all things that exist; observe too the continuous spinning of the thread and the contexture of the web." "Death is a release from the impressions of the senses, and from desires that make us their puppets, and from the vagaries of the mind, and from the hard service of the flesh." "Despise not death, but welcome it, for nature wills it like all else." "Everything that exists is in a manner the seed of that which will be." "Everything that happens happens as it should, and if you observe carefully, you will find this to be so." "Execute every act of thy life as though it were thy last." "Forward, as occasion offers. Never look round to see whether any shall note it...Be satisfied with success in even the smallest matter, and think that even such a result is no trifle." "He who fears death either fears the loss of sensation or a different kind of sensation. But if thou shalt have no sensation, neither wilt thou feel any harm; and if thou shalt acquire another kind of sensation, thou wilt be a different kind of living being and thou wilt not cease to live." "Let it be your constant method to look into the design of people's actions and see what they would be at, as often as it is practicable; and to make this custom the more significant, practice it first upon yourself." "Let men see, let them know a real man, who lives as he was meant to live." "Loss is nothing else but change, and change is Nature's delight." "Nothing happens to any man that he is not formed by nature to bear." "Nowhere can man find a quieter or more untroubled retreat than in his own soul." "Observe constantly that all things take place by change, and accustom thyself to consider that the nature of the Universe loves nothing so much as to change the things that are and to make new things like them." "Perhaps there are none more lazy, or more truly ignorant, than your everlasting readers." "Such as are your habitual thoughts, such also will be the character of your mind; for the soul is dyed by the thoughts." "The happiness of your life depends upon the quality of your thoughts: therefore, guard accordingly, and take care that you entertain no notions unsuitable to virtue and reasonable nature." "The universal order and the personal order are nothing but different expressions and manifestations of a common underlying principle." "There are three classes into which all the women past 70 that ever I knew were to be divided: 1. That dear old soul; 2. That old woman; 3. That old witch." "Time is a sort of river of passing events, and strong is its current; no sooner is a thing brought to sight than it is swept by and another takes its place, and this, too, will be swept away." "We are too much accustomed to attribute to a single cause that which is the product of several, and the majority of our controversies come from that." "When you arise in the morning, think of what a precious privilege it is to be alive—to breathe, to think, to enjoy, to love." "Where a man can live, he can also live well." Was Antoninus Pius One of the Good Emperors of Rome?